This book offers a fresh and inspiring approach to personal growth, one that taps into our inherent creativity and the versatility of poetry. 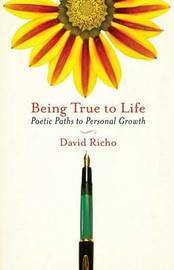 In "Being True to Life", psychotherapist David Richo explains how writing and reading poetry can be a rich path of self-exploration and emotional healing for anyone, no matter one's poetic abilities. Richo offers a range of practical exercises for exploring how poetry can help us to become more aware, to heal, and to grow emotionally and spiritually. Exercises include free writing; composing autobiographical poems; writing a poem to your fears; and, composing poems based on childhood memories, significant experiences, and dreams. 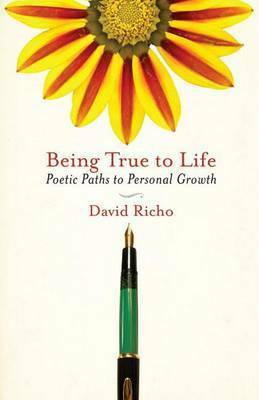 Richo also offers guidance on how to read poetry in a way that can be personally transformative. Praise for previous books by David Richo: 'Richo gently and compassionately coaches readers. His book will help those seeking personal transformation' - "Publishers Weekly". 'Lucid, thought-provoking, and illuminating' - Martha Beck, author of "Finding Your Own North Star". 'As useful a self-help book as one is likely to find' - Huston Smith. David Richo, PhD, is a psychotherapist, teacher, and writer who leads popular workshops around the world at such venues as the Esalen Institute, Spirit Rock Meditation Centre, St James's Church Piccadilly and the University of California at Berkeley.